It is 100 mt. far from the old town centre and 90 mt. from the private beach. 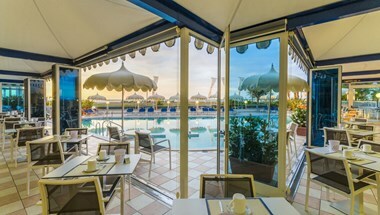 Each room has a beach umbrella with deckchair and sun-bed included on the price. 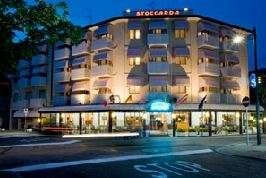 The Hotel Coralba operated by Paolo Tamassia and his family is a 3-stars hotel located in a quiet area, provided with all modern comforts. 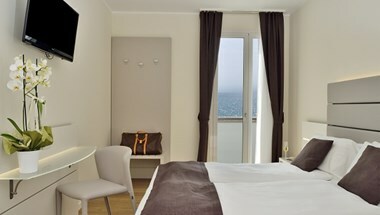 Each room is equipped with air conditioning, fan, balcony, bathroom with shower, TV Sat 32 inches. 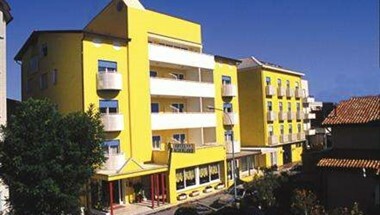 telephone and rooms for disabled persons are available. Dining room and bar with TV are air conditioned. 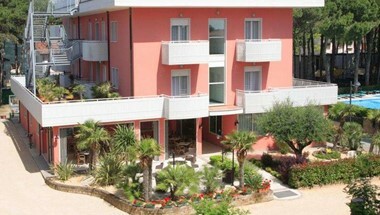 An elevator, two great terraces and behind the house a peaceful garden guarantee any kind of relax. 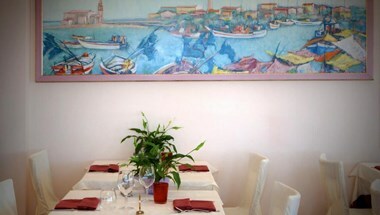 Italian and international food is prepared by Giulio. A private beach with sunbeds and umbrellas is available. The covered private parking area and the hotel are monitored. 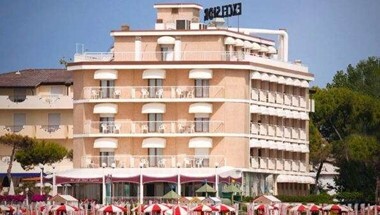 The hotel area is protected by a security service. Angle bar and relaxation area with Wi-Fi. Bicycles. 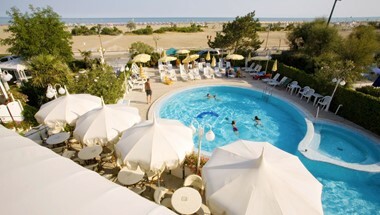 At the hotel ITTA, a few metres from the seashore, in Caorle, the characteristic seaside resort on the Adriatic, you will enjoy a quiet, comfortable and carefree holiday. All rooms boast private bathroom facilities, intercom phone, individual safe, TV, air conditioning and heating. 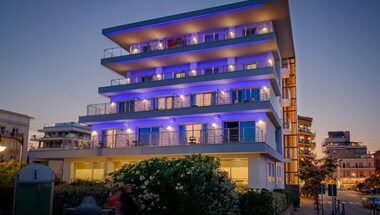 The hotel offers bar service, TV lounge with telephone service, dining room with air conditioning and heating, lift, private beach, beach umbrellas and deck chairs, a wide terrace and the possibility of using car parking facilities. 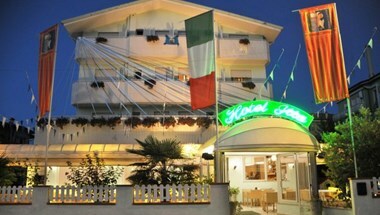 This family-run hotel will welcome you warmly and offer you typical specialities of the Veneto tradition. Do you dream about a holiday by the sea where you can enjoy real peace and forget any daily routine? 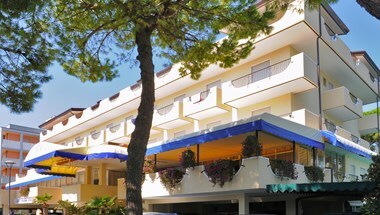 Looking for a family run hotel where the owners are always friendly to guests? 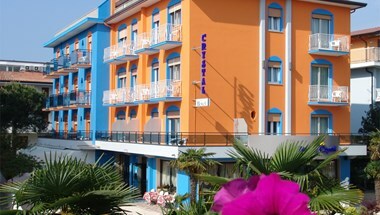 If your answer is affirmative, Hotel Karinzia is the right accommodation in Caorle for you. 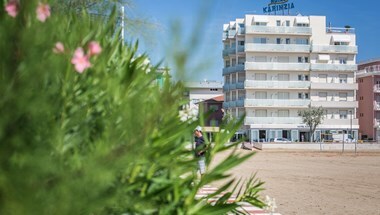 Hotel Karinzia is a hospitality facility located on the seafront, supplied with modern comforts and a private beach with umbrellas, deckchairs and sun loungers. 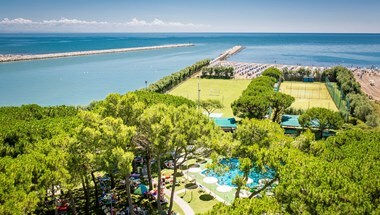 In the neighbouring Hotel Airone, only 350m away from our Hotel Karinzia, there is a large pool for adults, surrounded by a terrace equipped with umbrellas and sunbeds, and a children's pool which can be used of course by our hotel guests. Inside you will find a reception with multilingual staff, a restaurant where dishes of national and international cuisine are served for lunch and dinner, and very nice rooms with private bathroom, satellite TV, electronic safe, minibar and air conditioning.